Blue Buffalo dog food considers your dog to be a family member. Blue buffalo longevity is showcased by the fact that their office has more animals than human employees! Blue, an Airedale and the inspiration behind blue pet food, experienced a bout with cancer. Dog food blue is the result of consultations with leading experts in canine nutrition. Emphasis is placed on health and prevention, with ingredients that can counteract environmental toxins. Real meat, as in chicken, fish or lamb is always the first ingredient. This means that the formula contains more meat than any other ingredient. It also contains the essential amino acids that your dog needs. Since it includes vegetables and fruit, your dog will have an abundance of antioxidants, enzymes and phytonutrients. These highly digestive carbohydrate sources round out a well balanced diet. Blue dog food also contains LifeSource Bits. These are cold formed nutrients and antioxidants which serve to preserve nutritional potency, protect against environmental toxins and strengthen your dog's immune system. You will not find chicken or poultry by-product meals which are from slaughtered poultry carcasses and contain necks, feet, intestines and undeveloped eggs. Yuck! This premium dog food is free of artificial flavors and preservatives. Some dg food contains BHA, BHT, ethoxyquin, and/ or propylene glycol which provide no nutritional value. These additives may have possible toxic side effects and only serve to make dog food look and taste better. Their products are free of ingredients that commonly cause allergies in dogs, such as corn, soy or wheat. Many dog foods contain these inexpensive protein choices, though they lack complete amino acid profiles. Blue dog food, through the The Blue Buffalo Foundation for Cancer Research and The Pet Cancer Awareness Program, raises funds for canine cancer. 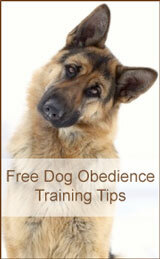 Their aim is to educate pet parents about the causes, prevention measures and warning signs. This emphasis on your dog's health is a great reason to Go Blue.